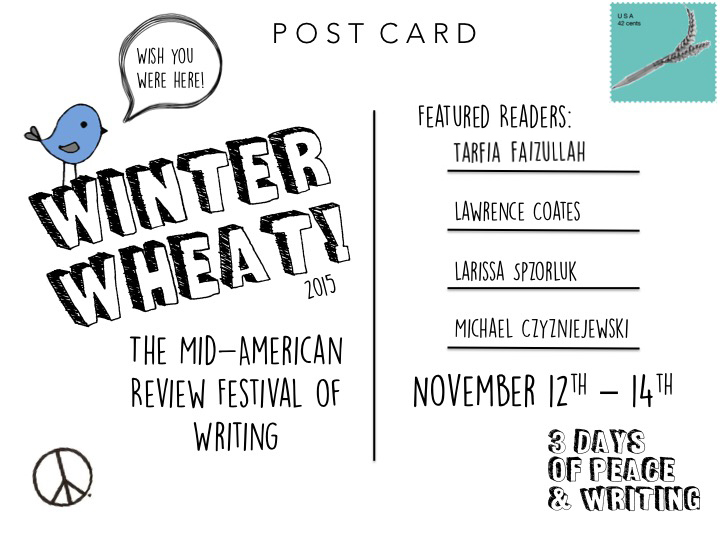 Lit Youngstown will represent at the Winter Wheat writing conference in mid-November on the campus of Bowling Green State University. Liz Hill and Karen Schubert will present at two sessions, amid a wide range of writing and publishing topics, and excellent readings. Consider joining us, if you can get away for one, two or three days. To find out more, visit the Winter Wheat website here. You can pre-register online. This entry was posted in Announcements on October 25, 2015 by lityoungstown.